For an unforgettable night of great homemade Mexican cuisine, look no further than El Portal Mexican Restaurant in North Cape May, New Jersey. With our five years of experience, you can trust that a night here at El Portal Mexican Restaurant will be a great time indeed. 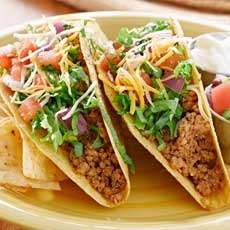 We have been proudly serving our fresh and delicious Mexican cuisine in North Cape May since 2009. Come in and see us today to experience what everyone has been talking about. At El Portal Mexican Restaurant, we believe in showing people a good time. You'll love our friendly and fun wait staff, the excellent service you receive, and you will be raving over our incredible authentic Mexican cuisine. El Portal Mexican restaurant is not only family-owned, it's family friendly. You know the quality is there every time because our owner is also our head chef.